And so the most anticipated MMORPG in the past two or so years starts to tread the all to familiar path of any contender to the World of Warcraft throne. A depressing piece of news really as Star Wars: The Old Republic had some really great selling points behind it; a popular universe, a solid studio, high production values, a seemingly fresh approach and extensive budget all made it feel like the developers at the numerous expo's were entitled to throw around the term 'WoW Killer'. A larger focus on the story was a key selling point. But now, just over a year and a half since its release in the western world, the first action on a slippery slope occurs. 'Free 2 Play'. Admittedly for now it is only the first 15 levels available to those who haven't paid, but it definitely isn't a positive sign to appear out of the Bioware/EA camp. But was this news inevitable? I don't really know if I can answer that, the cynic within me tells me that any attempt to challenge the WoW monopoly on subscription based online MMOs will naturally result in disaster, with examples too numerous that it isn't even fun to name them. One thing that tripped them at the starting gate was the god awful decision to make it one of the premier 'draws' of the Origin download platform, EA's shameless counterattack to Steam. In sacrificing one to make the other great, EA ensured the mediocrity of both products, rather than just one. 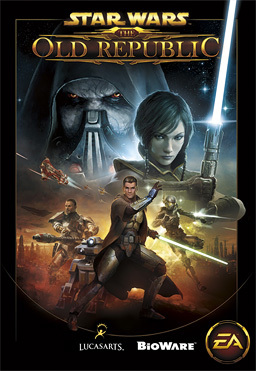 I know that had The Old Republic been on Steam, I would probably been amongst the rank and file playing it, but EA's pride and greed said otherwise. Not that it matters, now I can play it for free.